When it comes to your health, there are many different things that you can try to really improve how you feel. All of the time we are bombarded with fad diets, new health tips, and a bunch of ingredients that are said to make you feel better. However, sometimes the best thing that you can do is get back to the basics, and there is nothing like the simple life (and enjoying that cup of green tea in the morning) to really boost your mood, and improve your health. We’ve noted down some simple tips, so that you can improve your happiness and health by going back to the basics. This one is difficult for many people, and it can be easier and quicker to eat processed foods than their healthy, fresh counterparts. 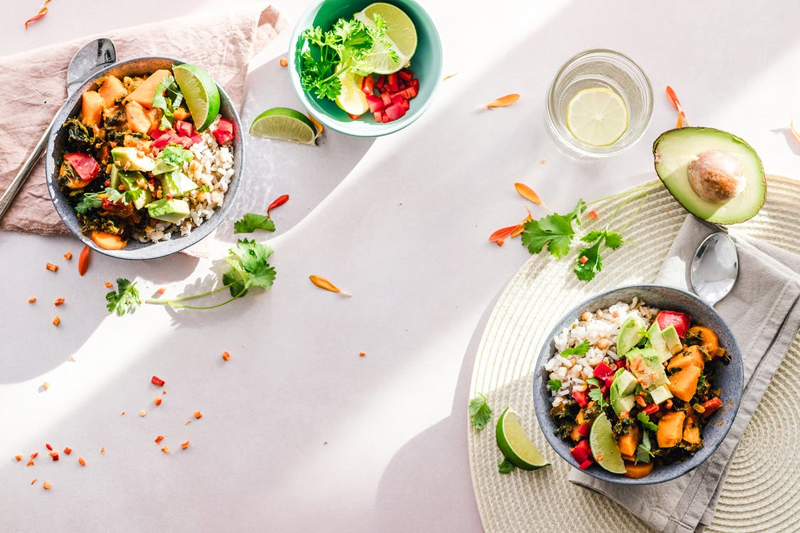 However, over time you’ll realise that your body just isn’t getting the energy that it needs from these meals, and you just feel a bit lethargic when your diet isn’t a healthy one. Taking the time out each day to cook up some healthy food, made out of organic ingredients, will really help you to see a difference in your wellbeing, even if you only spend around 15 minutes cooking. Make a habit of looking for new recipes, and try your best to cut out fast food and other processed products. Alcohol is one of those things that people use as a way to relax of a night time, but it has addictive qualities, and it isn’t too good for your health in the long-run. This is more of an issue if you’re a heavy drinker, so look into a sober living facility and other methods of support if this affects you, but you don’t need to have a serious problem for it to be detrimental to your health. Not only is it a depressant, but it also affects your sleep (and your liver) so try out some alternatives when you’re looking to relax after a long day at work. You’ll find within a week or two that you feel a lot better as a result! In the modern age, sleeping properly is something that you can just feel too busy to do. After all, you have tasks that you need to complete after work sometimes, too, and by the time that 11pm comes around, you can just feel like your brain is going in circles, and sleep is impossible. However, you need to allow yourself to unwind before you go to sleep, so that you can really feel better when you wake up the next day. Not only this, but it allows your body to recover (both mentally and physically) from various problems, and a lack of sleep will really affect your health on a day-to-day basis. So, if you’re looking to improve your health, why not go back to basics? These things will help you to feel a lot better, and you don’t need to do anything complex to get yourself back on the right track!